Texans set on escaping the winter chill may need to get creative with their commute. Texas’ Unattended Motor Vehicle law strictly prohibits leaving a running vehicle unattended, so warming your vehicle before you travel might land you in trouble with law enforcement under certain circumstances. Breaking this law is considered a Class C misdemeanor and can get you a ticket of up to $500. Keep reading to learn about the Unattended Motor Vehicle law and whether or not it’s illegal to warm up your vehicle in Texas. Is it Illegal to Warm Up Your Vehicle in Texas? The law, which is listed under Section 545 of the Texas Transportation Code, states that drivers may not leave their vehicle unattended without stopping the engine, locking the ignition and removing the key. 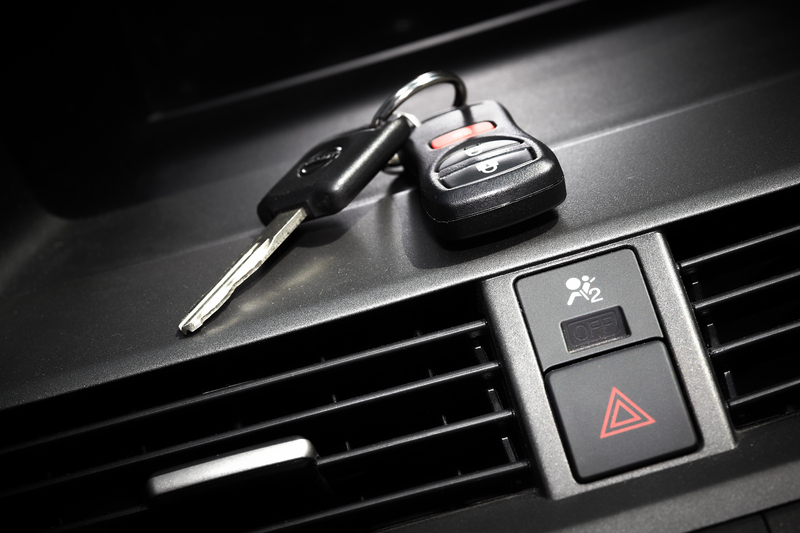 The code makes an exception for cases where the driver uses a remote starter or a similar device. As long as it starts the vehicle’s engine without placing the key in the ignition and still requires the key to be placed in the ignition or physically present in the vehicle before it can be operated, you’re safe from the penalties. It’s not yet clear whether this law applies to vehicles parked on private property, but it’s probably best to err on the side of caution and assume your driveway is fair game. Why is it Illegal to Leave Your Car Running Unattended in Texas? Though the law comes as an inconvenience to many, it’s actually meant to protect drivers from theft. Over 710,000 vehicles were stolen in the United States in 2015, with over 57,000 of those thefts occurring when a key or keyless entry device was left inside by the owner. These numbers continue to rise every year. The rule isn’t unique to the state of Texas either. Similar laws can be found in about 30 other states. Interested in learning more about vehicle laws in Texas? Get educated with our Texan Driving Law FAQ. This entry was posted on Wednesday, January 30th, 2019 at 8:00 am	and is filed under FAQ. You can follow any responses to this entry through the RSS 2.0 feed. You can skip to the end and leave a response. Pinging is currently not allowed.